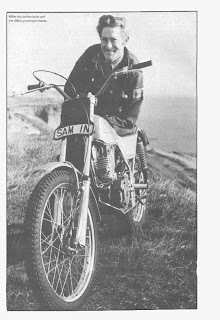 After sign a contract with Honda Japan, Sammy Miller made his own Team to develop the specific Honda for trial. 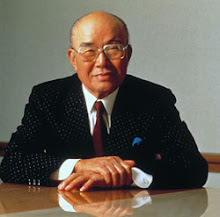 Early 1974 he agreed to develop all the Honda range of trial bikes. 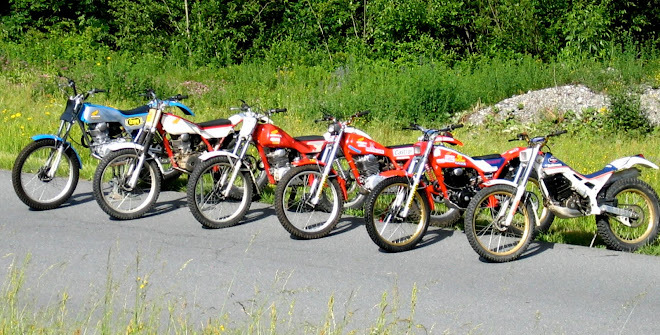 This Team developed in 1974 the new Honda trial 250cc based on the XL250 engine. 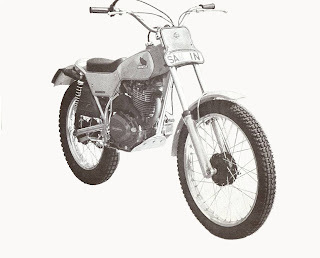 This was one of the first off-road bikes to feature a truly tuked-in upswept muffler. Its 4-valve OHC engine and chassis were uprated SL components. The single cylinder, four valve engine was made all-alloy and equiped with a five speed gearbox. The final weight was only 90Kg. Soon after Sammy Miller presented his new evolution, the new Honda 250cc Hi-boy frame with alloy plate replacing the bottom tubes. Tommy Sandham, Four -Stroke finale? In the early 1970's Honda created a separate company to oversee racing, the company was called RSC, Racing Service Center. Later, in September 1982, RSC changed to HRC and began the Honda's racing, endurance, trials and motocross racing programs. The HRC logo began to be applied on 1982. HRC Division headquarters is based in Saitama, Japan and Aalst in Belgium. Tetsuo Suzuki is the President and Shuhei Nakamoto his Vice President. The main service is the Research and development of racing motorcycles and parts. The most exotic and historic trial machines on the world!! 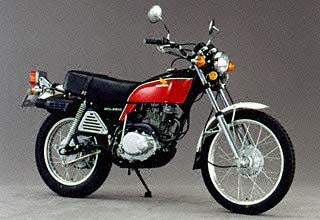 Visit the Honda Trials History web at www.onlytrial.com !!! !